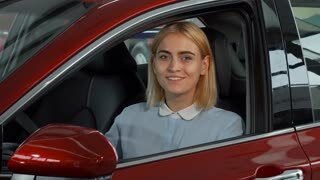 Search Results for "car happy"
Young beautiful cheerful woman smiling to the camera while sitting in her new automobile. Happy female driver showing thumbs up holding car keys. Transportation, ownership concept. Mature bearded handsome man smiling posing in front of his new automobile holding car keys. Happy male customer buying a new auto. Cheerful male driver holding car key. Ownership concept. 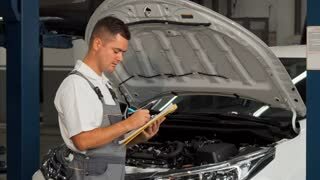 Unrecognized dealer from dealership transmitting the keys to the new car happy successful business couple. A joyful bearded guy in business suit happily picks up the keys of his new vehicle. Cropped shot of a female customer smiling shaking hands with professional auto dealer after buying a new car at the dealership salon. Happy woman receiving car keys to a new automobile. 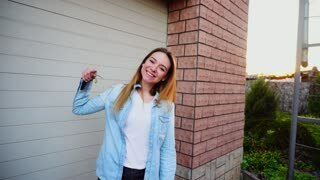 Cheerful woman standing near garage with car keys. Concept of purchasing car and happy owner. 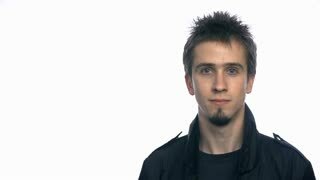 Young female person wears blue jeans shirt. Beautiful young woman sitting in her new car, talking to her boyfriend. Happy couple smiling to the camera holding car keys, posing with their new auto. Consumerism, love, family concept. Cheerful handsome African man examining his newly bought car at the dealership showroom. Happy male driver smiling to the camera holding car keys. 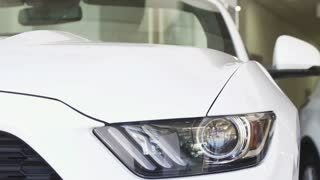 Buying car, driving, insurance concept. Cropped shot of a cheerful woman smiling while signing papers for her newly bought automobile at the dealership salon. 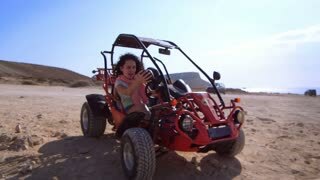 Happy female customer purchasing a new auto. Ownership concept. 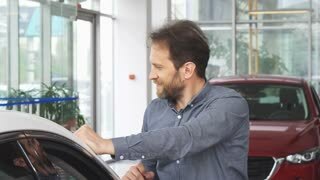 Cheerful mature handsome bearded man examining a new automobile at the dealership showroom. Happy attractive male customer smiling joyfully posing with a new car. 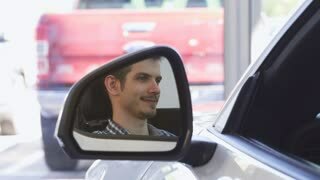 Sliding shot of a young handsome male driver sitting in his newly bought automobile, smiling to the camera over his shoulder. Happy attractive man in his new automobile at the dealership. View of adult beautiful couple with kids taking seats in new car in showroom happy with buying and exploring interior the manager gives the keys to the owners. Movement stabilized 4k shot. Beautiful young happy woman sitting in an auto holding car keys while her boyfriend using smart phone, taking selfies. 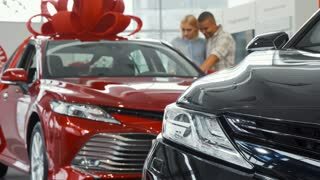 Cheerful couple celebrating buying new automobile. Transport concept. Cropped shot of a happy couple buying a new automobile together at the dealership showroom showing thumbs up and car keys. People buying auto. Vehicle ownership. Happy cute young girl in passenger compartment of the new car. Successful woman examines new auto. Young successful couple choosing their own car walks in the background. Car dealership. Happy beautiful young woman laughing joyfully receiving car keys to her new automobile. 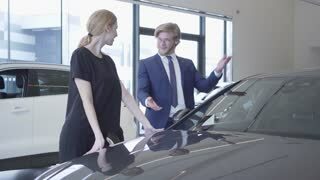 Cheerful female customer shaking hands with the salesman at the car dealership. Happy cute young girl in passenger compartment of the new car. Successful woman examines new auto. Car dealership.